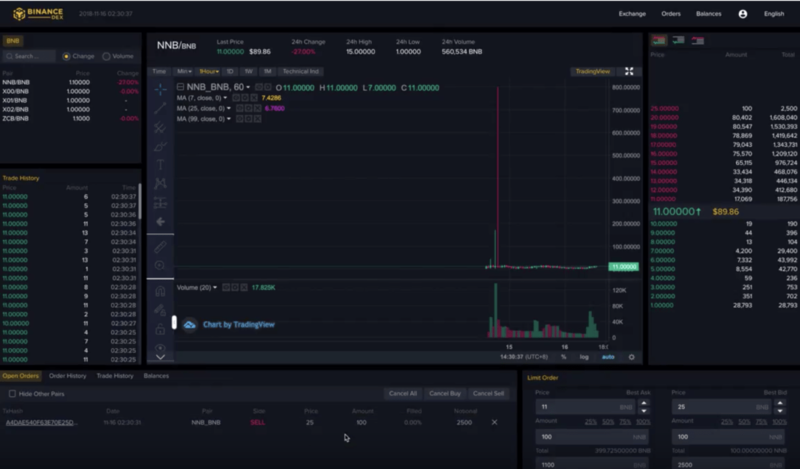 Binance, the biggest crypto exchange by volume, yesterday released a new video demonstration of its decentralized exchange ahead of its launch in Q1 2019. 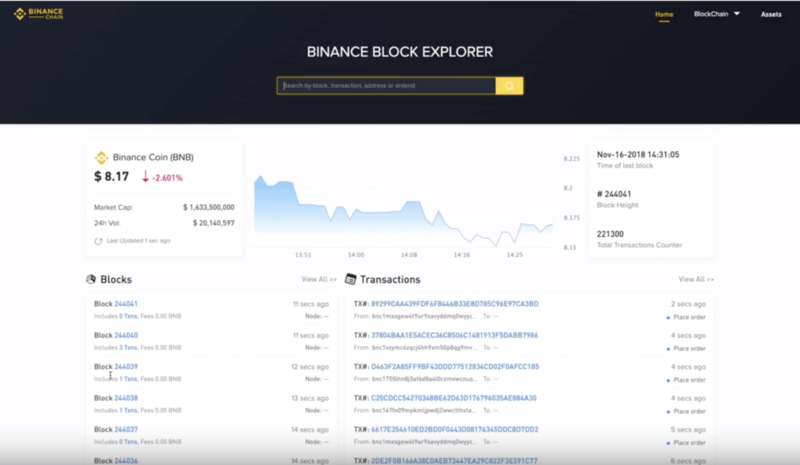 The broadcast exhibited the trading interface of Binance DEX – as the platform is called – along with its web crypto wallet feature and Binance Chain, Binance’s native public blockchain explorer which, according to the company, will be available on a testnet soon. The video tour revealed that Binance DEX would resemble the original web trading platform, especially when it comes to interface. However, there were some notable differences such as a feature that would allow users to generate a 24-word mnemonic seed phrase for private keys. 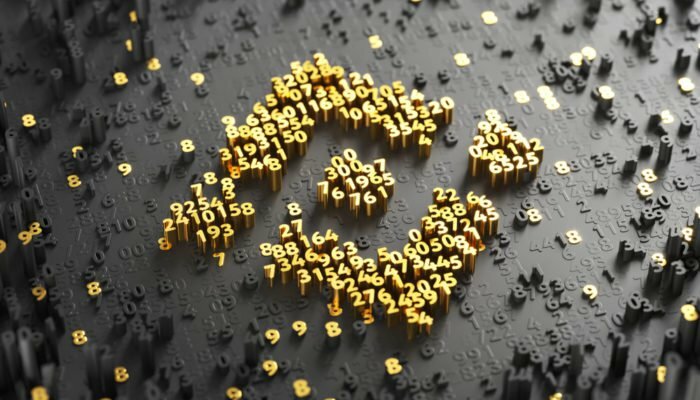 Binance DEX also possesses a “balance tab,” a feature that would enable users to access the status of their accounts, and a “user icon” that would show individual wallet addresses. With Binance Chain, individuals will be able to extract information related to blocks, transactions, wallet addresses, and order IDs, the demonstration explained. Binance Chain will empower the record keeping infrastructure of the DEX. According to the statement made during its introduction in March, the public chain also expects to offer “low latency, high throughput trading, as well as decentralized custody of funds” to mitigate single points of failures. 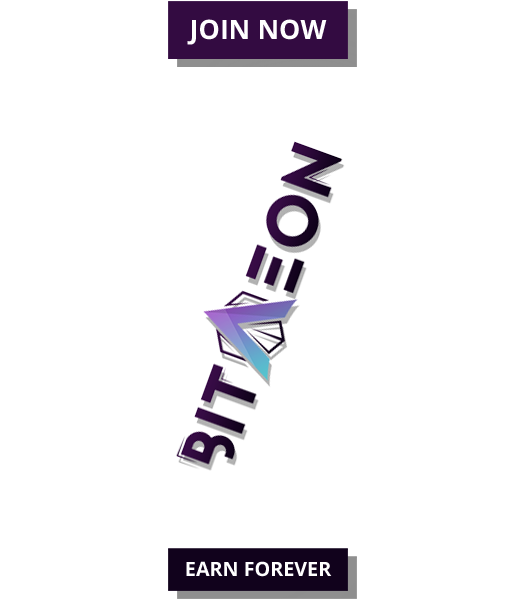 The block explorer would also list a feature that would list details about all the coins listed on the Binance DEX. Binance also cleared that their DEX would not hold users’ private keys, which means they will not be able to move users’ funds as centralized exchanges do. 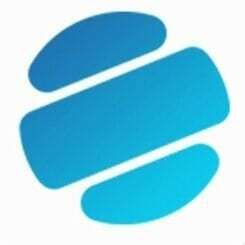 Instead, their platform will integrate decentralized wallet applications like Trust Wallet, known for their server-free infrastructure. They would enable users to keep their wallets’ private keys in their devices than with a third-party. 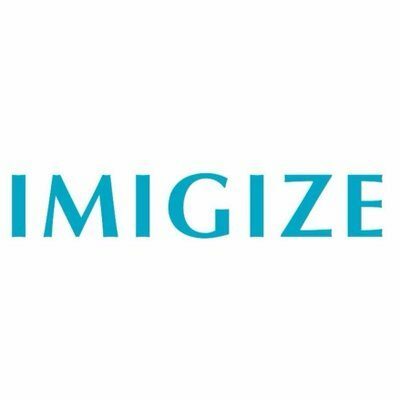 It means that only private key holders would have access to the funds. The BNB price against the U.S. Dollar jumped as much as 6.2% since it opened the day at $5.99. 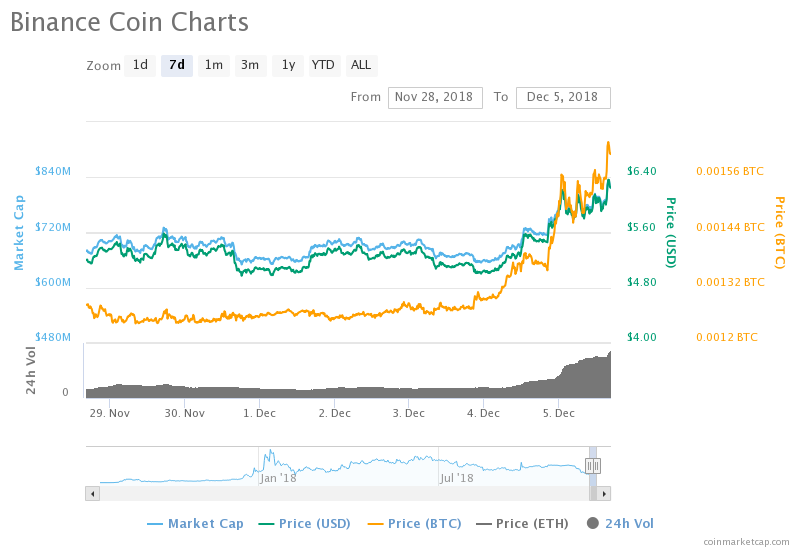 On a 24-hour period, according to CoinMarketCap, BNB established circa 15% gains while the rest of the top crypto assets remained red. Nevertheless, as evident with the way the crypto market behaves, BNB is likely to correct lower in the near term, having been outreached its upside targets. The coin’s long-term aspects are fundamentally bullish, especially because Binance Chain would function no less than Ethereum. The chain would allow new blockchain projects to digitize and launch their assets – all backed by the BNB token. BNB will migrate from ERC20 standard to its Binance Chain upon the mainnet launch. The BNB/USD pair is trading at $6.34 at the time of this writing.